Pixie Hill: Spring is in the air? It's warmed up. No frost in sight this morning. And here I was getting giddy for snowfall! Geesh! 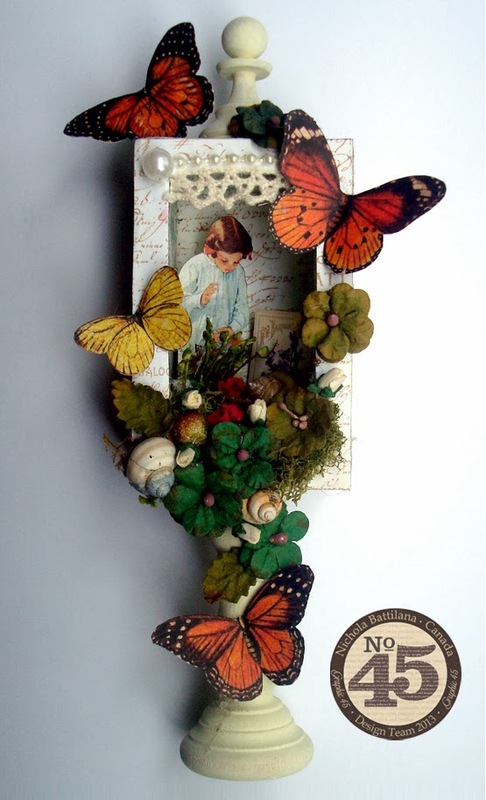 Anywho, the warmth seems fitting with Graphic 45 revealing my little Secret Garden project today. Whenever I visit the craft shop I always make a stop at the bargain bin to pour over the broken wares. Those beat up and mangled pieces call to me. Damaged, dinged, and discounted they beg me to save them. And I do. I grab them all! And while my husband shakes his head, my mind races with possibilities. This pretty little garden, overflowing with Petaloo flowers, snails and moss, began life as a 37¢ broken box, odd chess piece and little wooden candlestick. 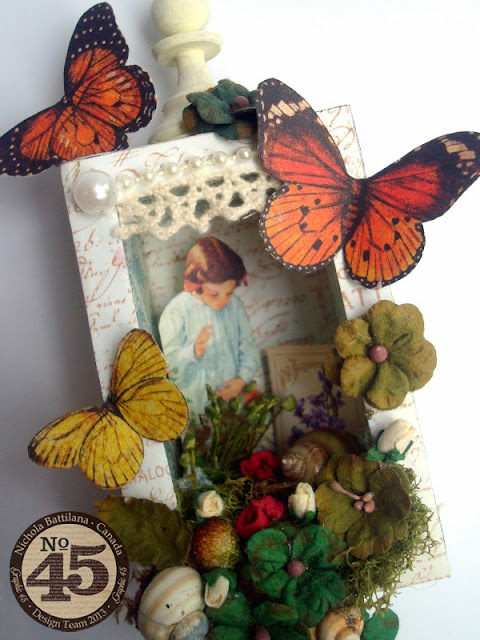 A bit of paint to the base materials, add some darling Graphic 45 Secret Garden papers, Petaloo flowers to finish it off… “Ta Da!” a sweet and sentimental treasure created from a forgotten box at the bottom of the bargain bin. But this post is great! into a beautiful piece of artwork. I really like the flowers and the fact that the piece can stand on it's own and the way the image peaks out through the flowers.